Dorie Rochart has been hiding her fey side for a long time. Now, finished with University, she plans to study magical creatures and plants in the wild, bringing long-forgotten cures to those in need. But when no one will hire a girl to fight basilisks, she releases her shape-changing fey powers--to disguise herself as a boy. 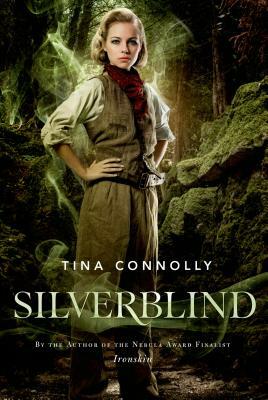 While hunting for wyvern eggs, she saves a young scientist who's about to get steamed by a silvertail--and finds her childhood friend Tam Grimsby, to whom she hasn't spoken in seven years. Not since she traded him to the fey. She can't bear to tell him who she really is, but every day grows harder as he comes to trust her. “This is an astonishing book: an evocative re-imagination of Jane Eyre that concerns itself with beauty, love, and social upheaval. This lyrical and utterly marvelous debut is one of the standout books of the year.”—RT Book Reviews, 4 ½ Stars, Top Pick!